No suicide note has been recovered form near the body or in the hostel room, but the boy’s friends said he was ‘feeling low’ because he was not able to adjust in the hostel after shifting from his home town in Tamil Nadu. 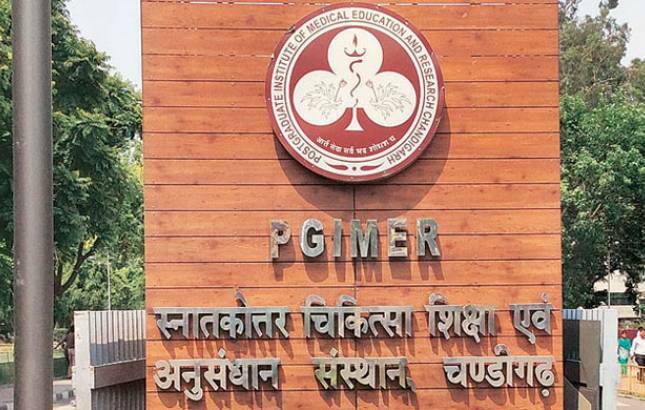 A 24-year-old junior resident (JR) doctor of Post-Graduate Institute of Medical Education and Research (PGIMER) from Tamil Nadu committed suicide by hanging from a ceiling fan in his hostel room at the institute of Monday. The JR doctor, identified as Krishna Prasath R, had joined PGIMER on January 22 to study MD. He was initially selected for the institute’s medicine department, but later opted for radiodiagnosis and imaging during the third counselling, said officials. On Monday morning, Prasath was supposed to turn up at the ultrasound OPD area, but when he did not, his colleagues tried to contact him, but he did not respond. His senior doctor then went to his room, at around 9:15 am, and found the door locked. He informed the security guards and when the door was broke open, Prasath was found hanging from the room’s ceiling fan. He was immediately taken to Emergency, where doctors declared him dead. The Association of Resident Doctors of the institute said that there was no record of Prasath being on anti-depressants. A doctor from the Department of Emergency examined his body and told that Prasath may have committed suicide several hours before the incident came into light. One of his colleague, also from Tamil Nadu, said that he had told some of his friends that he did not like this place. “But, he was fine now and no one expected him to take such an extreme step…he was an intelligent student,” he added. Prasath is survived by his father, who is a priest at the Rameshwaram Temple, his mother, and a sister. His father will be arriving in Chandigarh on Tuesday morning, and has been told that he was “critically ill”. Earlier in September 2016, a 31-year-old junior resident of the institute also committed suicide by hanging from the ceiling at his rented accommodation in Sector 16.